The ART runtime is something we've been able to dabble with for a little while now but from Android 'L' we'll be using it exclusively as it replaces Dalvik. Google is promising a 2x performance increase over Dalvik and it's truly cross-platform with support for ARM, x86 and MIPS. Of course, there's more than just that. 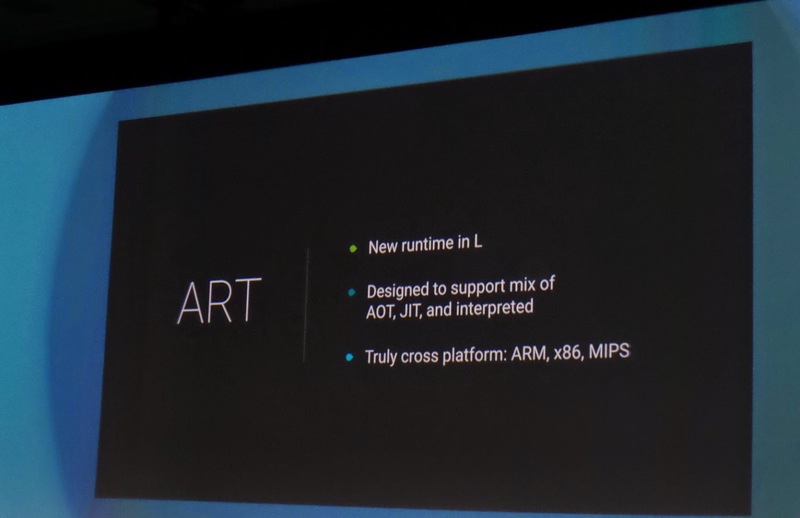 ART is fully 64-bit compatible and promises to be more memory efficient and have fewer pauses. It has a new garbage collector and memory allocator to help keep things running nice and smoothly and best of all – for developers, at least – app developers won't have to change a single line of code to be compatible with ART in Android 'L'. It also brings a bunch of GPU performance improvements and the Android extension pack that has been defined with help from the GPU vendors. The feature set includes tools such as tesselation, geometric shaders, computer shaders, ASTC texture compression. And the demo was pretty good too, with Unreal 4 being shown off and looking pretty stunning and demonstrating how mobile graphics will begin to close the gap to desktop games. 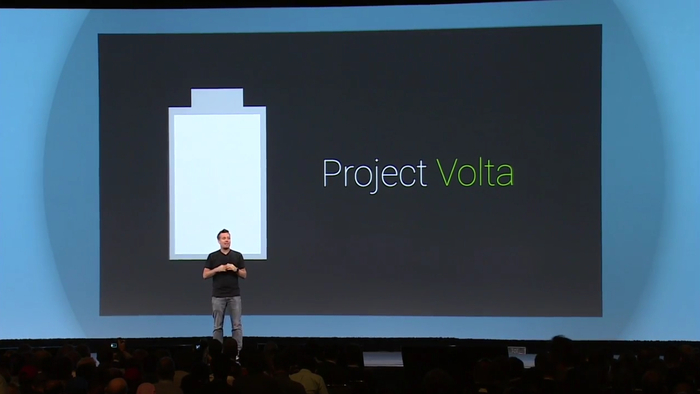 And yes of course better battery life to the phone. 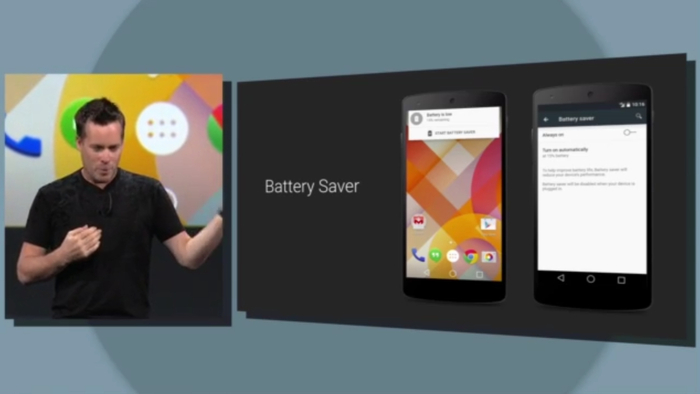 Android will now have a native battery saver, though it appears to be pretty basic. There are a lot more under-the-hood changes also going on here, which we'll take a look at more in-depth as more information becomes available.